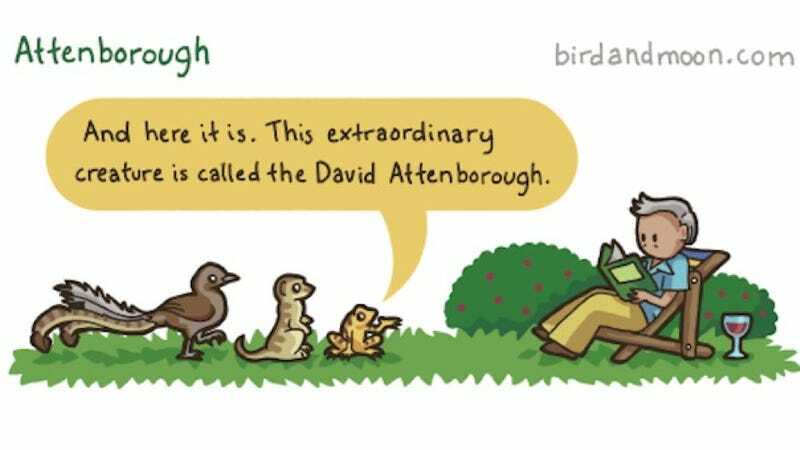 What if David Attenborough were the subject of a nature documentary? The latest from Bird and Moon turns the tables on everyone's favorite documentary narrator. Will the plummy lilt that helped make Attenborough famous be enough to secure him a mate? By the incomparable nature cartoonist Rosemary Mosco. See more of her work (and purchase prints!) on her website. See also: Lies and the lying animal (names) that tell them.